Common interior paint products contain VOC’s, or volatile organic compounds, which become airborne as the paint dries. Not only can this greatly reduce your home’s indoor air quality, it can have negative health effects on both people and pets; especially those with existing respiratory conditions or suppressed immune systems. To maintain a quality indoor air environment and avoid such negative health risks, choose an Eco-friendly, Low-VOC product for an effective and safe alternative. Continue reading to learn some top-recommended non-toxic and Low-VOC interior paints available right around the corner at your local home improvement store. Benjamin Moore® has two different paint lines that claim to be 100% free of volatile organic compound emissions: Natura and Aura. Both Natura and Aura are specially-formulated for interior painting applications, and come in a vast array of colors. Since they are low-odor paints, they are safer options for pregnant women, children, and elderly. They are also mildew-resistant, making them a great option for wet environments or climates. Behr’s® Premium Plus Interior is a great option for interior Eco-friendly paint because it is low-odor, mildew-resistant, and contains zero volatile organic compounds. It is also affordable and requires minimal maintenance. You can clean it up with a little soap and warm water! However, this product cannot be found at any home improvement store; it is only sold by Home Depot®. Sherman Williams® Enhanced Harmony is an excellent line of non-toxic interior paint. Not only is this paint resistant to mold and microbes, it is also free of volatile organic compounds. Best of all, this paint is enriched with odor eliminating technology, which can help reduce ambient or lingering odors, such as wet dogs, grilled fish, sautéed garlic, and more. In addition to reducing odors, it can also reduce airborne VOC’s from other materials, such as carpeting and cabinetry. ✨ If you enjoyed this blog about Eco-friendly interior paint options, you might also like to read our article, “Types of Eco-Friendly Home Siding” for additional environmentally-conscious home remodeling tips. 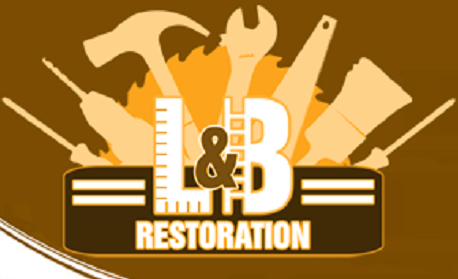 Call Restoration By L & B, LLC at 317-454-3612 for professional interior painting services in Indianapolis and its surrounding areas. We offer full-service painting solutions for both residential and commercial properties. On top of already competitive prices, we guarantee to beat any competitor’s price! Request an estimate, today. This entry was posted in Painting and tagged eco-friendly paint, Indianapolis Painting Contractors, interior painting services in Indianapolis, non-toxic paint, safe interior paints, safe wall paint. Bookmark the permalink.